Get ready as we share some of our all-time favorite vinegar cleaning hacks. If you are looking for an all-natural cleaning product without any nasty chemicals then white vinegar is the answer. 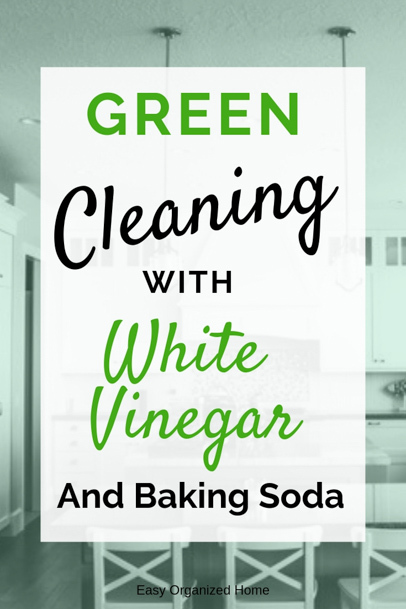 Not only is white vinegar a brilliant toxin-free cleaning agent, but it is also dirt cheap! One of our best cleaning hacks for frugal families. 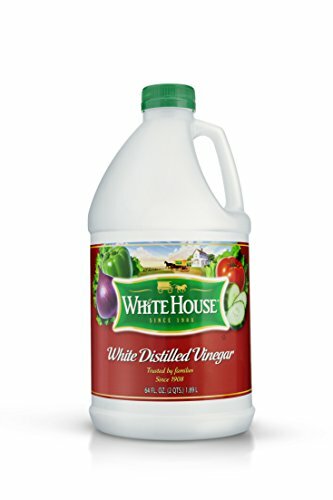 Check out the best prices for white vinegar HERE. 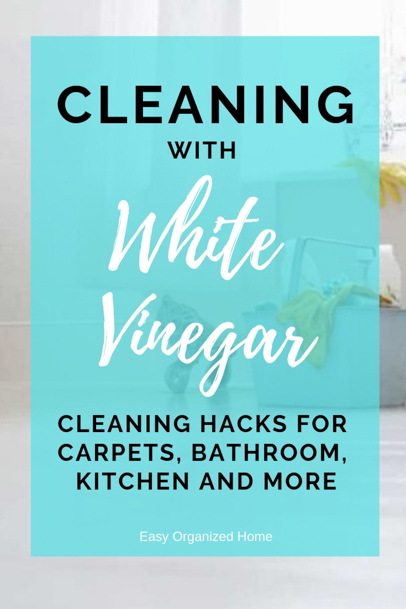 Keep reading to find out why white vintage is the best natural cleaning agent and all our cleaning hacks for using it around your home. Here are just a few reasons why we always keep a few gallons of white vinegar in our homes. It’s cheap. Not only is the actual vinegar cheaper than most cleaning products. The fact that it can be used in so many ways means you will also be buying less products too. It is totally natural and the best toxin free cleaner. Have you seen some of your cleaners say “Hazardous to Humans”? 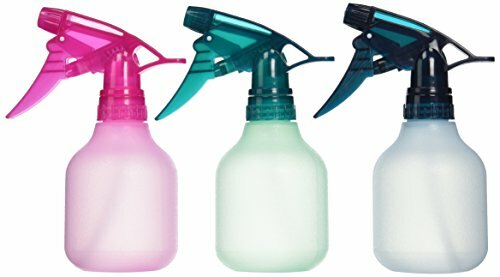 Why would you want to spray that around your home? It is a natural disinfectant. The high acidity kills germs, mold and bacteria. You can use it in every room in the house. 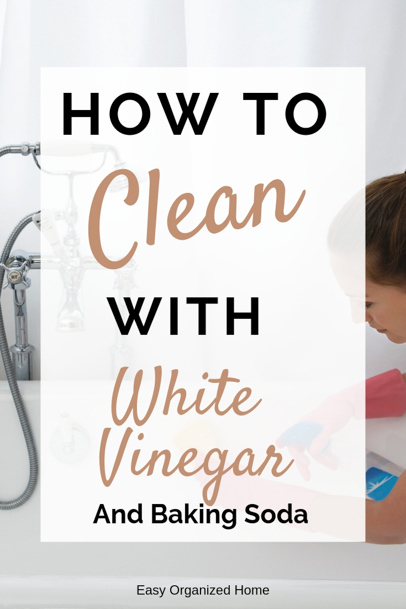 We use vinegar for cleaning in the kitchen, bathroom, bedrooms and even home office. It is a great cleaning product for household surfaces. Tiles, rugs, carpets, glass and lots more. It is a brilliant natural multi-purpose cleaner. You can mix it with baking soda, another natural cleaner, for even more amazing DIY cleaning hacks. The truth is that vinegar is not the best smelling, right? So, how do you make it smell better? The easiest way to make vinegar smell better is by adding some essential oils you use in your home. You can choose the scents you prefer but we would recommend oils like eucalyptus and tea tree as these not only are great oils for deodorizing but also act as extra killers of bacteria. Find the Best prices on your favorite essential oils HERE. Here are the best cleaning hacks for vinegar. They cover every room in the house and will help you clean your home like a pro! 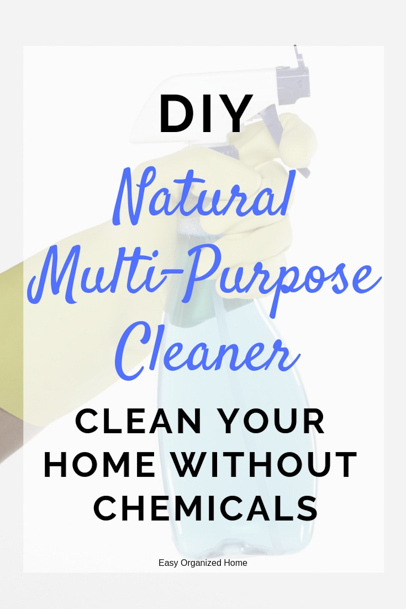 From natural ways to clean your bathroom to cleaning carpets. 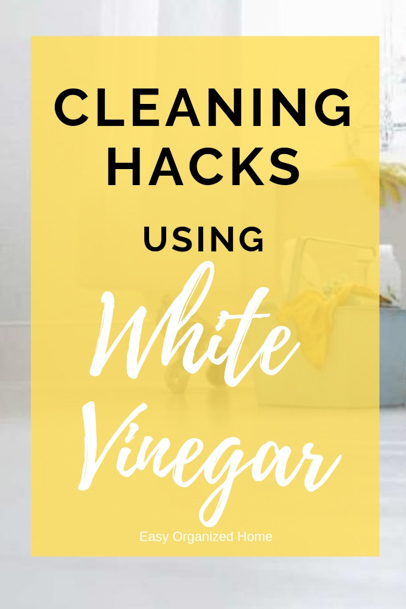 For cleaning, we recommend using Distilled White Vinegar like this HERE. 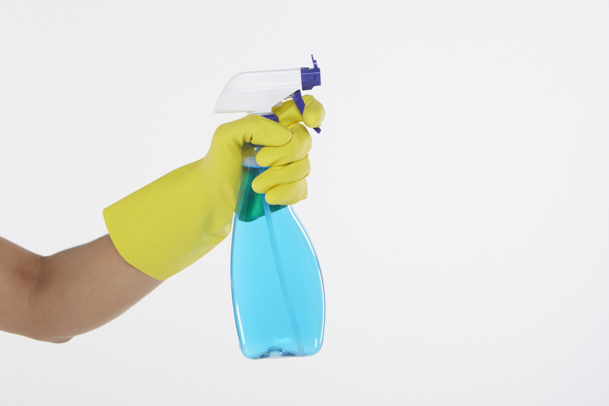 Make up a natural general cleaner with half vinegar and half water in a spray bottle. You can use this as a DIY everyday cleaner for bench tops, kitchen basins, tiles and lots more. Add a few drops of your favorite essential oils to make your whole home smell amazing. 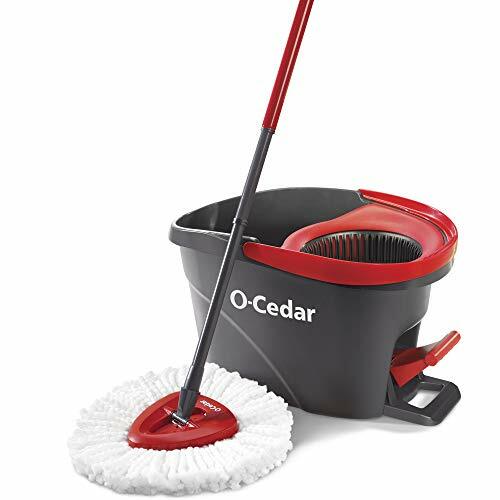 Rinse your cloths and mops first with water then place them to soak in a bucket for 15-20 minutes that has 2 gallons of water to one cup of vinegar. Be sure to rinse the vinegar off with water after sanitizing. Remove the shower head and soak overnight in white vinegar. If it is difficult to remove the shower head simply, put a plastic bag filled with vinegar over the shower head. Make sure it is tied securely ( with a rubber band or hair tie) and leave overnight. Turn the shower on after cleaning and run for a while to rinse before jumping in to shower. Empty your dishwasher then run a hot cleaning cycle with just a cup of white vinegar inside. We suggest placing it on the top rack. If you have marks that are hard to clean off and a bit of a funky odor in your microwave just turn it on high with a cup of white vinegar in a microwave-safe container in it. You don’t need it running for long, just 1 minute. Let the steam work its magic for a while. Then remove the container and wipe down the inside of the microwave with clean water. In a spray bottle make a solution that is half vinegar and half water. Clean the windows and rinse. Use a squeegee for a perfect finish. 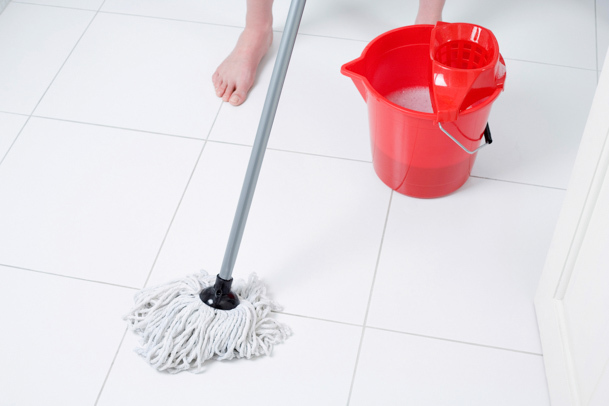 Don’t struggle with hard to clean grout any more with this easy cleaning tip. Just spray straight vinegar onto the grout, leave for around 15 minutes then give it a good scrub with a small brush or toothbrush. Bath toys get so dirty and moldy. Don’t throw them away, instead use this easy cleaning hack for toys. Soak toys in vinegar for 3-4 hours. If you want to leave them smelling amazing, add a few drops of essential oils into the soaking tub too. 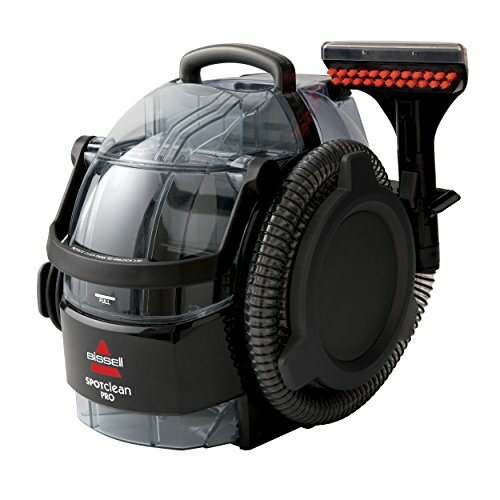 You can use vinegar in a steam cleaner instead of expensive cleaners. If you want to add a nice smell just add one of your favorite essential oils. Use the multi-purpose spray from our first cleaning hack as a carpet spot cleaner. Spray on the carpet and rub gently on the mark to remove. If there is a really stubborn stain you can put a little baking soda over the vinegar before scrubbing. Make sure you rinse the vinegar well and then vacuum. We always suggest using newspaper to clean mirrors. First wet the newspaper slightly and spray with straight vinegar. Clean your mirror! Vinegar and newspaper will is the best way to clean your mirror for a streak-free finish. If you want to stop your mirrors from fogging up you can use the same piece of newspaper after cleaning and add eucalyptus. Then wipe over the mirror again. Just use the multi-purpose cleaner from hack one and alter the ratio of vinegar to water until it cuts clear through the grease. You can use this cleaning hack for pans, oven trays, and the racks in your oven too. Fill the bathtub with hot water until the pans are covered. Add 1/2 a cup of vinegar and soak for a couple of hours. Give them a good rinse and extra scrub for any leftover marks. 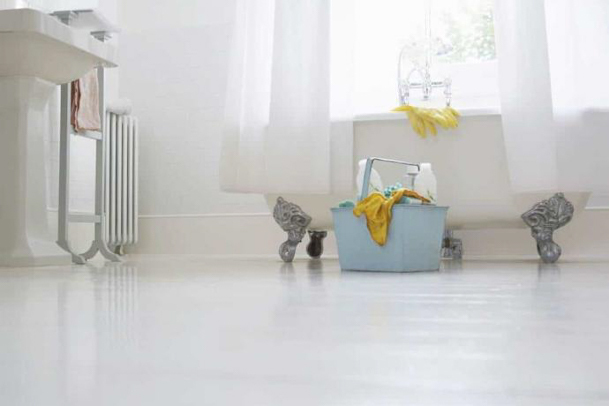 Clean and disinfect your home’s floors with this natural floor cleaner. Fill a bucket with hot water and add vinegar. A good ratio is 1/2 cup of vinegar to every gallon of water. If you are trying to help the environment by not buying bottled water, you probably have a whole lot of water bottles in your home. Give them a good clean every so often by putting some straight vinegar in the bottle with a little hot water. Give the bottle a really good shake then rinse thoroughly. For even more natural cleaning hacks you can mix vinegar with bicarb soda. Here are some of our best ways to use Vinegar and Bicarb in the home. Use straight vinegar inside the toilet bowl making sure you cover the sides in vinegar too. 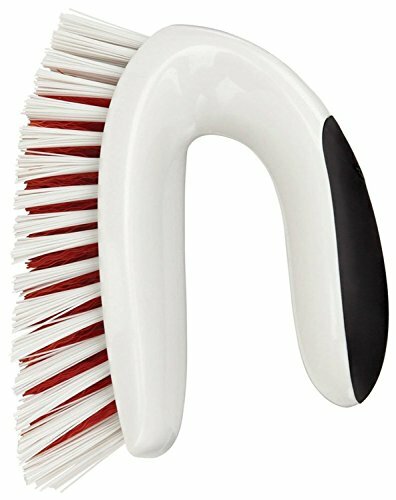 Leave to soak while you clean the rest of the bathroom. If it needs a super deep clean you can even leave overnight. Spray the outside of the toilet with vinegar and wipe down with a damp cloth. An easy toilet cleaning hack to get rid of grime and germs. 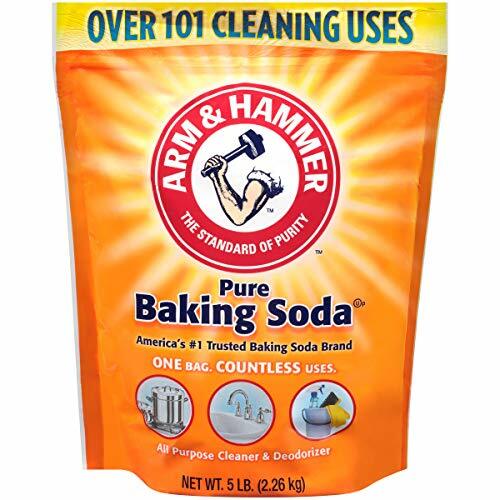 When you mix baking soda and vinegar they react making them a great combo for a natural DIY cleaner. You can play around with the ratio of each ingredient to make pastes/sprays or extra strong cleaning products. Pour white vinegar and baking soda down a drain then let the chemical reaction do it’s magic! Mix up a paste with vinegar and baking soda. Make sure your oven is off and cool, then apply to the inside of your oven. Leave overnight then clean off. 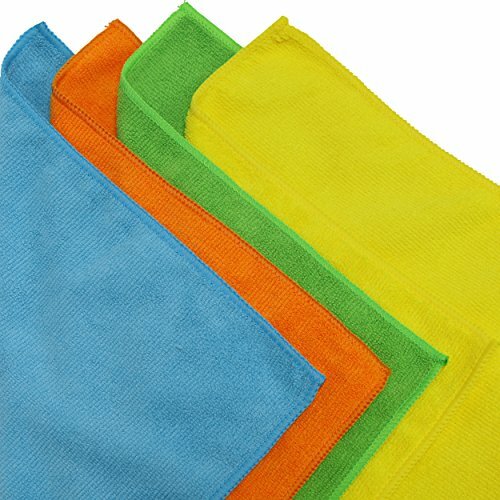 You may need to still give a good scrub while rinsing for tough spills. If you have a mark that just won’t come off on your kitchen bench or bathroom vanity then try this cleaning hack. Sprinkle baking soda on the stain then spray with vinegar. Leave it fizzing for a while and then give it a good scrub. Wipe your bathtub with vinegar then with sprinkle baking soda. Give the bath a good scrub then rinse off to find a sparkling clean bathtub. Baking soda is great for eliminating odors. You can leave a small, open container in your fridge to soak up odors. Or make a DIY air freshener with a tablespoon of vinegar a teaspoon of baking soda and a few drops of your favorite essential oil in a spray bottle. Add one cup of water and you have a natural febreeze you can spray anywhere in your home. 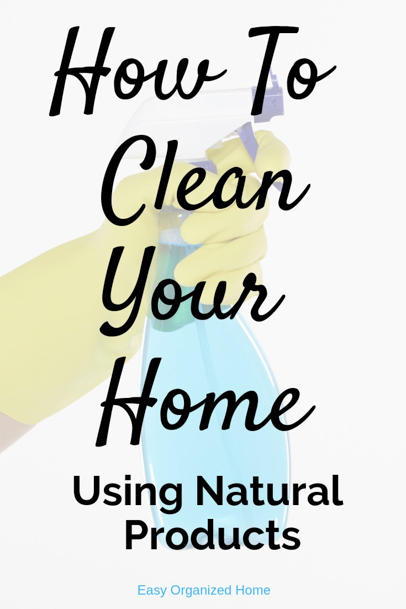 So many ways to clean your home naturally! 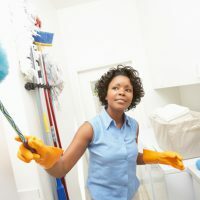 We hope this post helps you save money on cleaning and gives you some easy ideas to make cleaning easier. Here are the best Cleaning Tools For Your Home to use with Vinegar and Baking Soda. Find all the best tips to deep clean your home. Get our free cleaning checklist. Thank you for all the great cleaning ideas. Glad you liked them Eileen. Hope they help. 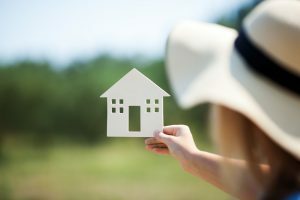 Here at Easy Organized Home we believe that everyone can have an organized home, free of clutter and sparkling clean. We share easy organization hacks, cleaning tips and home improvement ideas. Make your home your sanctuary, without feeling overwhelmed. Get organized, and create the home of your dreams with our easy tutorials, helpful posts and printables. Easy Home Organization is a participant in the Amazon Services LLC Associates Program, an affiliate advertising program designed to provide a means for sites to earn advertising fees by advertising and linking to amazon.com, amazon.co.uk, amazon.ca. Amazon and the Amazon logo are trademarks of Amazon.com, Inc. or its affiliates.